The description of solids at a microscopic level is complex, involving the interaction of a huge number of its constituents, such as ions or electrons. It is impossible to solve the corresponding many-body problems analytically or numerically, although much insight can be gained from the analysis of simplified models. 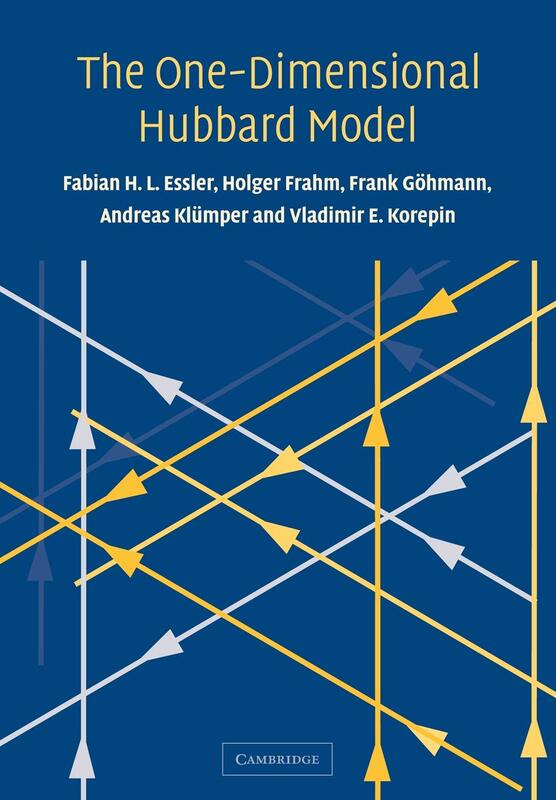 An important example is the Hubbard model, which describes interacting electrons in narrow energy bands, and which has been applied to problems as diverse as high-Tc superconductivity, band magnetism, and the metal-insulator transition. Remarkably, the one-dimensional Hubbard model can be solved exactly using the Bethe ansatz method. The resulting solution has become a laboratory for theoretical studies of non-perturbative effects in strongly correlated electron systems. Many methods devised to analyse such effects have been applied to this model, both to provide complementary insights into what is known from the exact solution, and as an ultimate test of their quality. This book presents a coherent, self-contained account of the exact solution of the Hubbard model in one dimension. The early chapters will be accessible to beginning graduate students with a basic knowledge of quantum mechanics and statistical mechanics. The later chapters address more advanced topics, and are intended as a guide for researchers to some of the more recent scientific results in the field of integrable models.